Transported the mixture into an aluminum dish. Allowed to sit overnight as a way to degas the epoxy mixture. Note: the first two epoxy/TiO2 trials were heated to 85°C for 5 min and allowed to cool down to 50°C for the next 10 min. 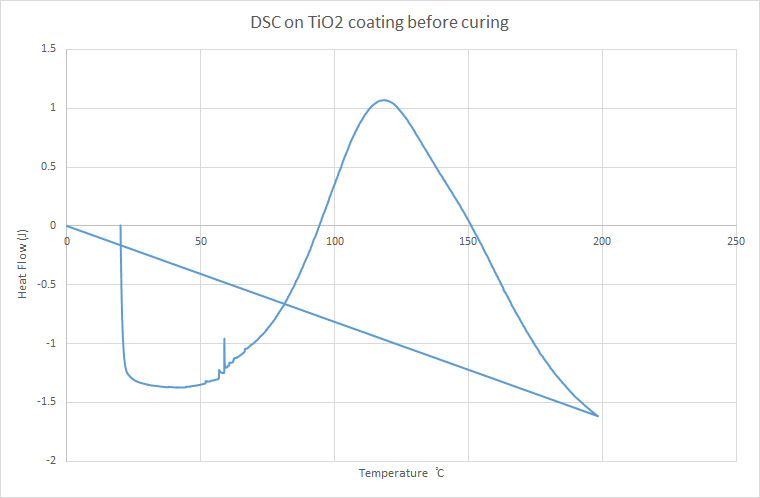 These temperatures were arbitrary, however, after DSC analysis it was determined that curing begins to occur at ~60°C and attains a maximum efficiency of curing at 118.5°C.